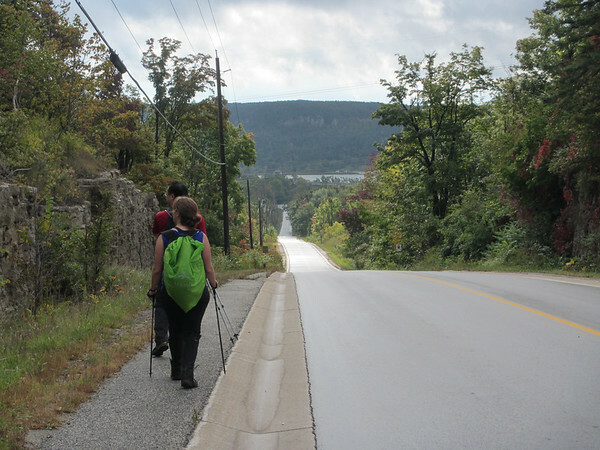 Starting off the Toronto section of the Bruce Trail was quite exciting. I was looking forward to seeing what this part of the trail had in store for us. Although some of the trail did seem a bit bland earlier on, it was technically challenging and we were eventually rewarded with some pretty cool and interesting things to see and experience in the latter part of this hike. We had thought it would rain all day and taking that into consideration, I decided to bring out my waterproof Canon D20 for use on this hike. Fortunately it stopped raining but I decided to use this small compact handheld camera for the whole hike rather than use my typical camera to see how I felt about it. When we started the hike, it was pouring rain but we soon found that we didn’t need the rain gear and it was significantly warmer than we anticipated so off went the rain gear. Of course, throw in some sunshine after the rain and you get some pretty warm and humid climate. Three words: Perfect mosquito conditions. 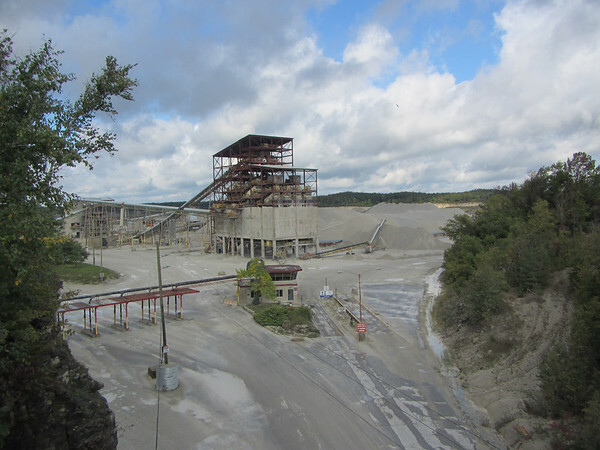 After taking us through a small chunk of forest and through some stone formations, we found ourselves on a bridge overlooking a large quarry. What is fascinating about this is the fact that we drove by the escarpment later and saw the bridge from a distant country side road. 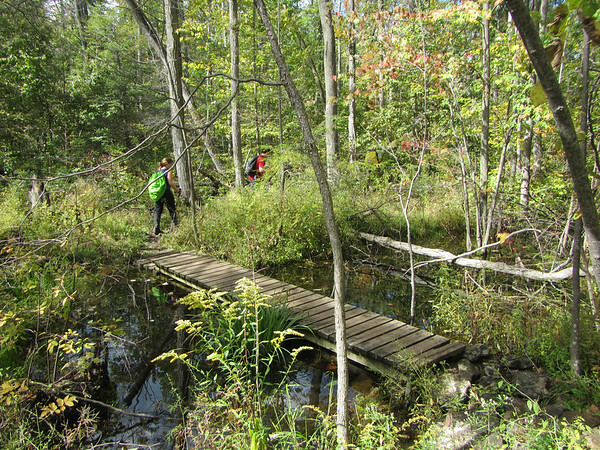 If we hadn’t hiked across that bridge, we would never have known it even existed. 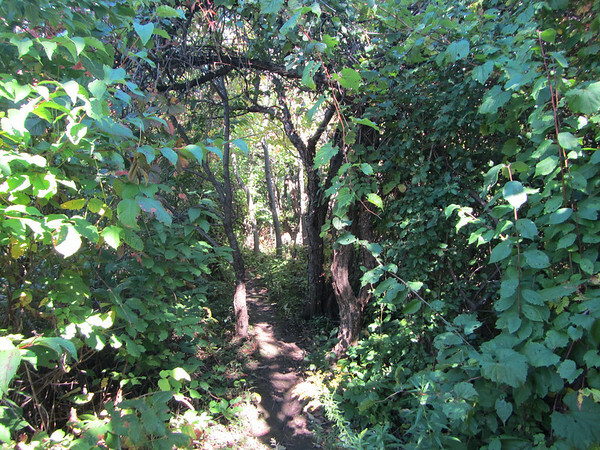 This hike like the previous hike had a lot of overgrowth with less maintained parts of the trail. 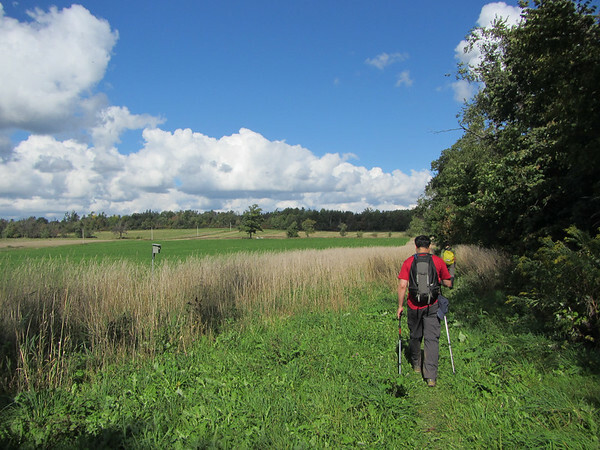 As much as I enjoy the wildflowers and all, walking through tall and vast fields of them and into lots of shrubbery isn’t that pleasant and there isn’t much to look around at either other than your footwork — ensuring you don’t trip on a root or stone. 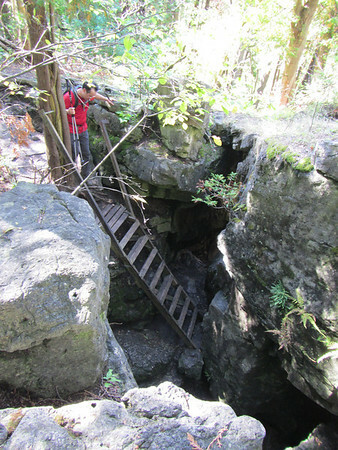 In the latter part of this hike, we began encountering entire chunks of the trail that were all uneven rock or stone. This slowed us down greatly but we got accustomed to it after some practice. 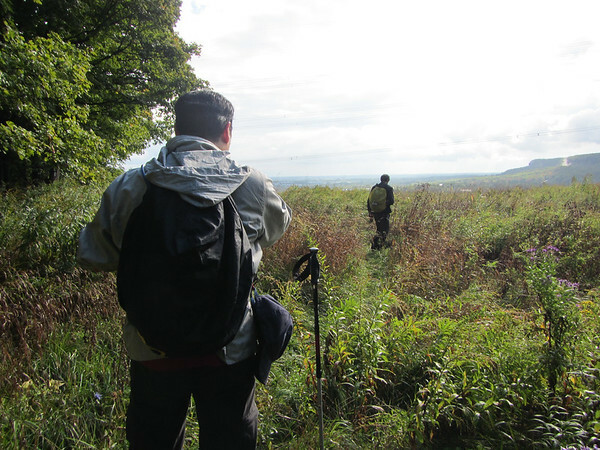 It didn’t help that the rain over the past week made everything moist and muddy, making navigating over the not-so-flat or stable rocks and moss-covered stones more challenging. 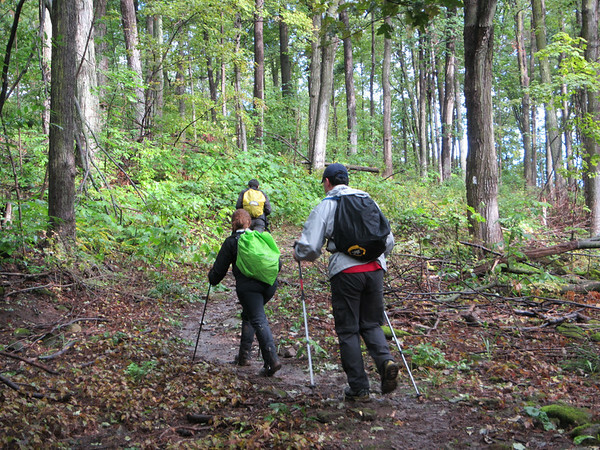 It was a nice technical challenge for us but it would get tiring for anyone who isn’t accustomed to hiking or haven’t strengthened their leg and ankle muscles. Eventually, we made our way on to the road and ended up passing by an interesting little food joint. 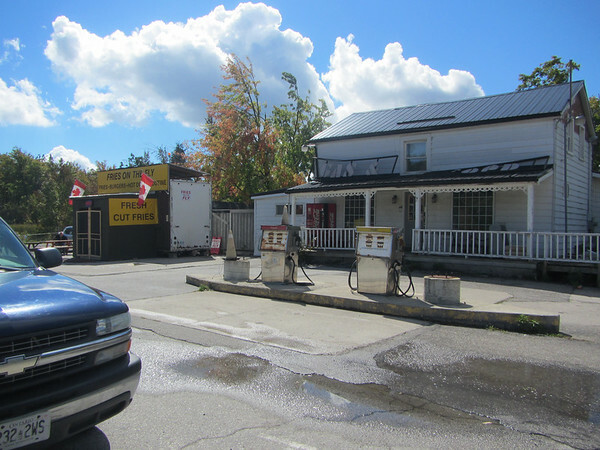 We were hoping to try out the poutine but unfortunately we used up all our cash available to us in order to pay for parking at these Conservation areas. There’s a bit of irony there. The next part of this hike was by far one of my favourite encounters. 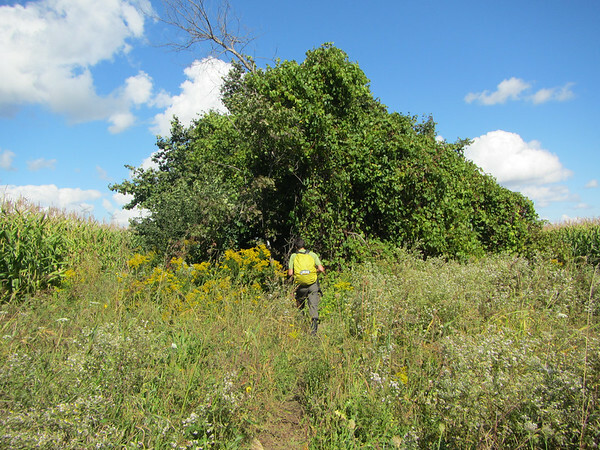 We ended up hiking through a small strip of land in between two large corn fields. Aside from wondering if this corn was meant for humans or for animal feed, we traversed through some very interesting terrain. 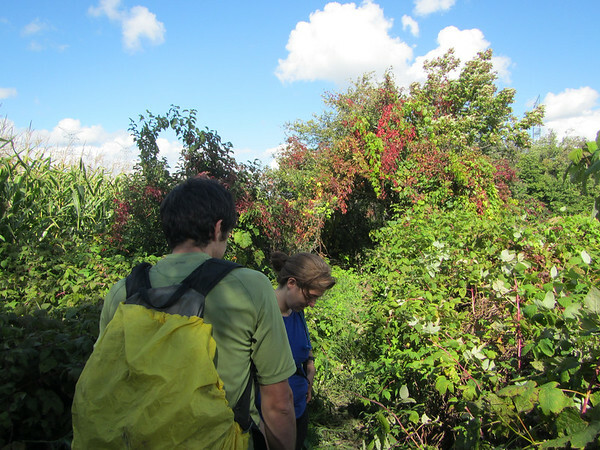 The trail weaved between and around trees or vines with so much character and colour — then ended up finding ourselves forced to hike through columns of corn, with husks and leaves constantly flapping into our face. Annoying but fun for a brief amount of time. 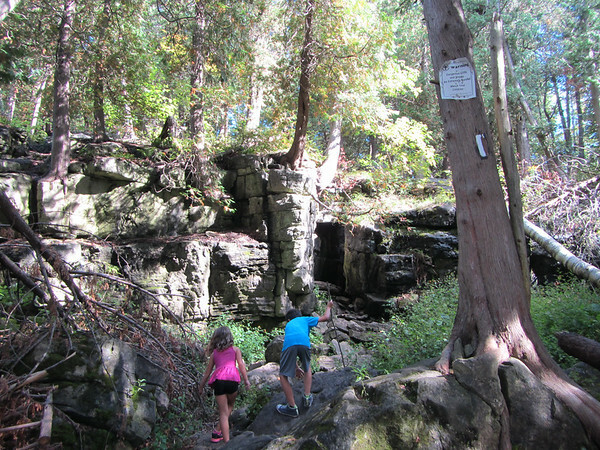 Eventually, after making our way through some large acres of farmland, we find ourselves in Limehouse Conservation Area. 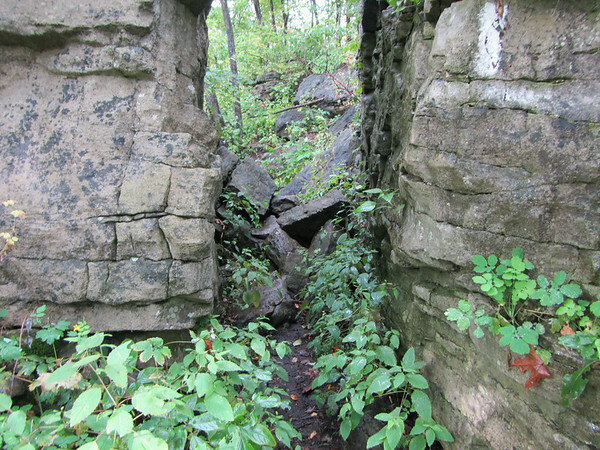 There we make our way through the “Hole in the Wall”, a fun section of the trail in this park. We tried to hang around here for a while to take some photos but it seemed like a pretty busy part of the trail so we had to depart to let some other folks have some fun. 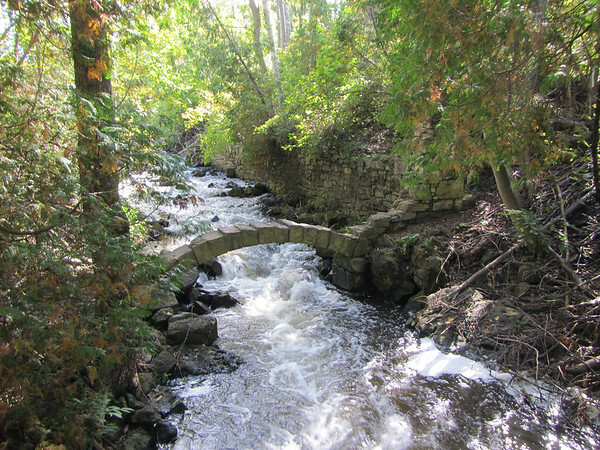 The Limehouse Conservation Area also contains some pretty nifty historical remnants of the old industry from the 1800s. My inner historian would love to spend hours comparing photos of then and now. 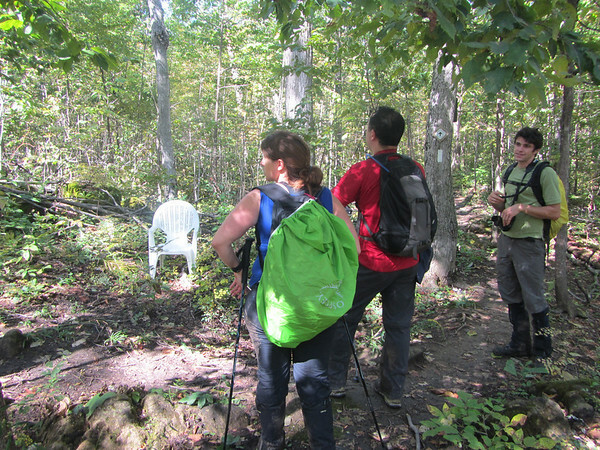 The latter part of this hike was by far one of the most interesting bits of the Bruce Trail. It was tiny but thoroughly enjoyable. 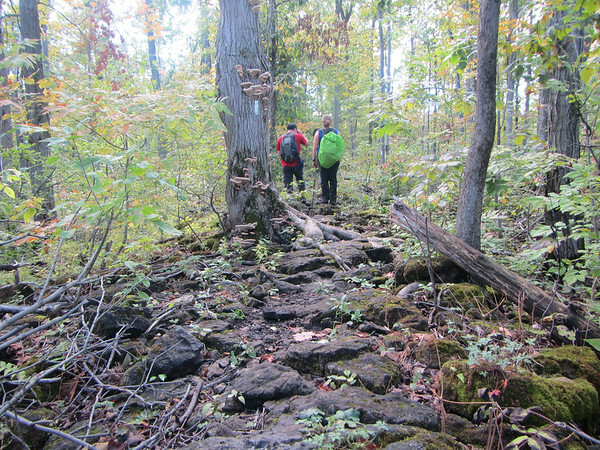 The funny thing about the Bruce Trail that I’ve discovered thus far is that it takes you through large number of beautiful areas but it doesn’t necessarily take you through the best parts of these areas nor does it force you to spend more time in these areas. It sort of forces you to choose distance vs. depth. 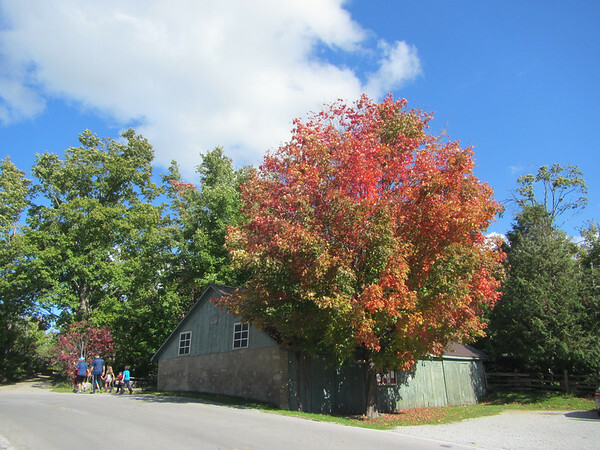 At the end of the day, we were surprised to see a beautiful multi-coloured tree. We had parked on the side of the road earlier in the morning when it was pouring rain — with the sun out, everything looked completely different. Check out the full gallery from this hike. As much as I liked the fact that I was better able to respond to situations with the Canon D20 camera, and that it was waterproof — I still preferred using my go-to Fuji X100. That said, I didn’t mind that with the Canon D20, the amount of time spent dealing with post-processing RAW files and uploading large image files was reduced dramatically!